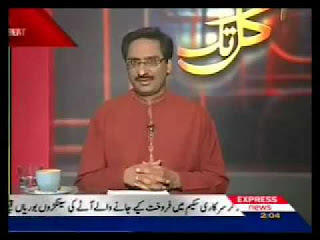 As we are observing earth quake in media industry.All the main show hosts are moving here and there Luckman Express TV now joins Dunya Tv,Syed Talat Hussain Aaj TV now joins Dawn News,Nusrat Javed and Mushtaq Minhas (Aaj TV & Dunya TV) are back in Aaj Tv and now there is unconfirmed info that EXPRESS TV host and Columnist Javed Chudary going to join Dawn News with package of 02 million per month.It is worth mentioning that Javed Chudary is enjoying highest rating for his show on Express News. After all the rumors now its is clear by Javed Chudary that he is not going anywhere he is comfortable with EXPRESSS NEWS: The response of JC is given below. spreading this.thank u very much for supporting me.